You are here: Home / Crochet Other / Reviews / Book Review / 20 Crochet Patterns for Animal Rugs and Matching Accessories! 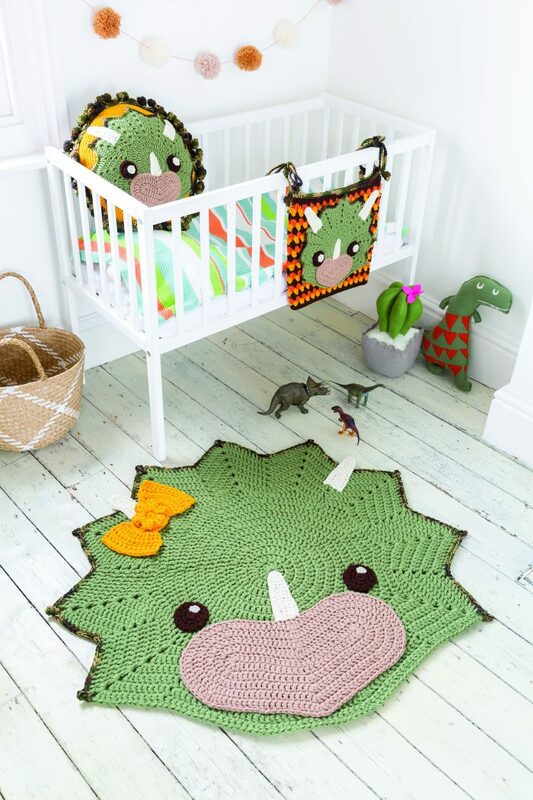 Crochet Animal Rugs includes more than 20 patterns for adorable animal mats and matching room accessories! I received a copy of this book to review from SewandSo © F&W Media International, Ltd 2018. The opinions expressed in this review are my own. This post includes affiliate links. If you purchase this book after you click on one of my affiliate links in the post, I will receive a small commission for referring you, at no additional cost to you. If you are not familiar with Ira Rott’s crochet designs, you are in for a treat! Crochet Animal Rugs includes more than 20 patterns for animal themed rugs and accessories. Each pattern is written out in US Crochet Terms and includes step-by-step photo tutorials, stitch charts and diagrams for placement and assembly. Crochet techniques, sewing stitches and general techniques have also been included at the end of the book. Crochet Animal Rugs is 144 pages in length. The entire process, from start-to-finish, is included for each pattern in the book. Some common items shared between the patterns are basic eyes, bows and pillow bases (round and oval). For these bits you refer to the section for Common Shapes on pages 127 to 133. Each pattern has been ranked as one of the following difficulty levels: beginner, moderate and challenging. The Common Shapes are beginner level patterns. The patterns are crocheted using medium weight  yarn and various hook sizes. The projects are worked with 1, 2 and sometimes 3 strands of yarn at the same time. The patterns have been designed around 7 different animal themes. Within in each animal theme you receive 3 different crochet patterns. The Useful Information section begins on page 119 and includes crochet terminology and abbreviations. The abbreviations chart is excellent, it includes the abbreviation, the symbol and the written description. Diagrams have even been included for some of the abbreviations. Crochet Techniques have been included beginning on page 134. Images are provided to demonstrate the techniques. Sewing Stitches and General Techniques are explained next, with images and diagrams. The sample projects shown in Crochet Animal Rugs were crocheted with Red Heart Super Saver or Bernat Super Value Yarn. These are both medium weight yarns . You can see more of the projects included here and on Interweave here. Children will love the adorable animal characters included in Crochet Animal Rugs. Whether you choose to crochet your favorite animal rug, or all three patterns in an animal themed section, these fun accessories will brighten up any room. 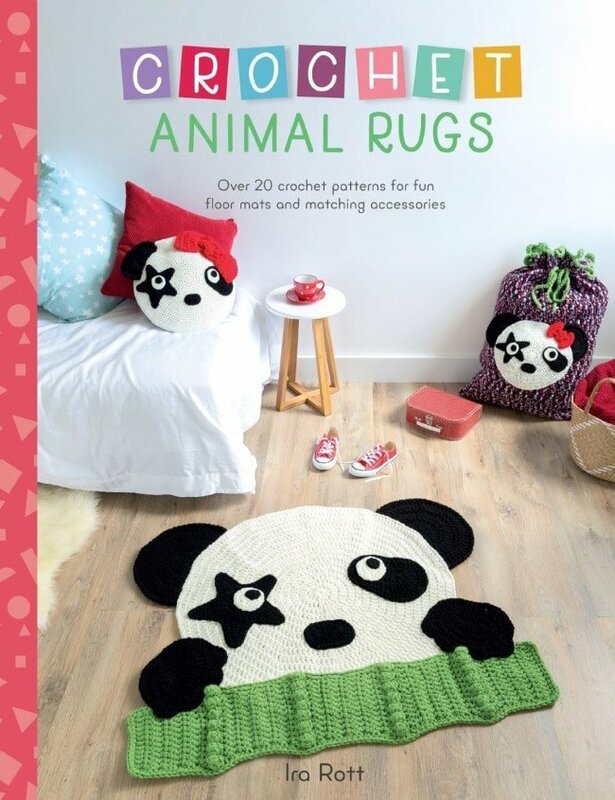 Would you like to win a eBook copy of Crochet Animal Rugs? If you are not the lucky winner of the giveaway and you would like to purchase your own copy of Crochet Animal Rugs you can get it from SewandSo. I’d like to thank SewandSo and Ira Rott for providing me with the review copy of Crochet Animal Rugs and for the giveaway copy for my readers! All images are used with permission from SewandSo, © F&W Media International, Ltd 2018. For more information about SewandSo visit their website, Facebook or Instagram! Thanks for the review~ I like knowing what size or type of yarn is being used in the patterns before purchasing a book. Getting the finished product to look as cute as the photographs is important! Also what patterns are included with each rug, I didn’t realize that pillows, placemats etc were also in the book. Great review! These rugs are wonderful. I love them. Cute panda ones.. very catchy! These just look so cute and fun to make! Love your review of this book, if I don’t win the book, it will be on my purchase list. Lovely patterns. This book seems great! 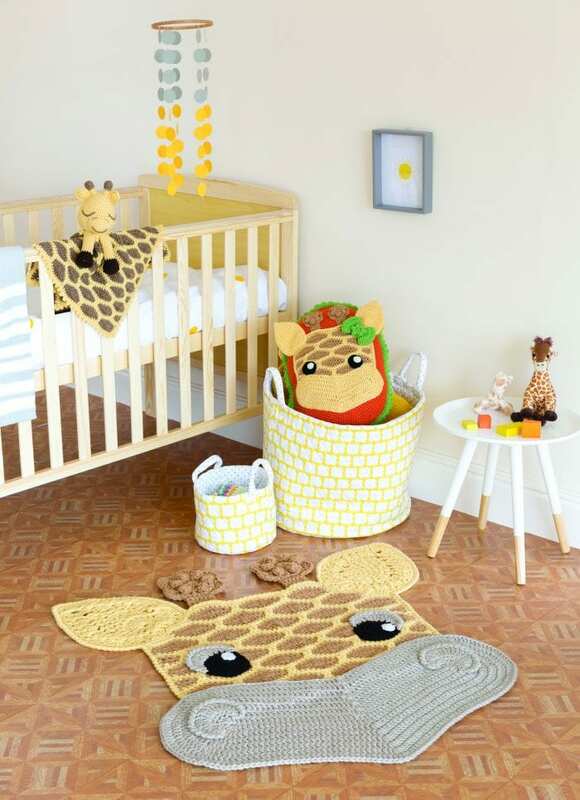 Loved the cat rug, pillow set and the giraffe one! I really enjoyed learning about the stitches used and the sizes of the rugs! I want to make one, soon! Perhaps this winter!!! My daughters would love to pick out something for me to make from this book. Oooh and I could make something for my new nephew! I love this book. If I don’t win it, I’m sure that I’ll buy it. There are so many great patterns and themes for all children. These are so cute!! I’m so glad you did a review on this book. I loved the elephant rug and seeing there’re otger rugs makes me want to buy the book. (I know the word ‘other’ is misspelled but for some reason im not able to go back and correct my mistakes/. Great review, Rhondda! Her patterns really are fantastic. Thanks so much for the chance to win the book! These patterns are SO DARN CUTE. Thanks for sharing. I love this book! What fun and how my new granddaughter would love one of each for her new nursery. l loved your review on this book explained each part very well. Looks like a goodbook for me to get. The grandkids would love them! I am in love with these fun projects. I cannot wait to try them out. Thanks for sharing your talent. I LOVE this book!! Thank you for the chance to win it!!!!! These are the cutest patterns. My grown daughter loves pandas and is begging for these items.